Johanna Johnston, Whale’s Way, Doubleday, 1965. Clyde Robert Bulla, White Bird, Crowell, 1966. Vivian Laubach Thompson, editor, Hawaiian Myths of Earth, Sea, and Sky, Holiday House, 1966. Francis Burnett, The Lost Prince, Lippincott, 1967. Mary L. Ellis, Jesus Christ, Son of God, John Knox, 1967. Jean Todd Freeman, Cynthia and the Unicorn, Norton, 1967. 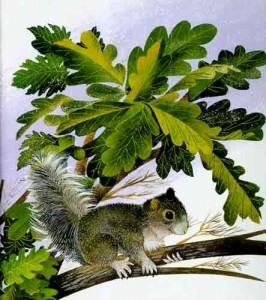 Berniece Freschet, The Little Woodcock, Scribner, 1967. Phyllis McGinley, A Wreath of Christmas Legends, Macmillan, 1967. Doris Johnson, Su An, Follett, 1968. Doris Orgel, On the Sand Dune, Harper, 1968. Mary Perrine, Salt Boy, Houghton, 1968. Mary K. Phelan, Midnight Alarm: The Story of Paul Revere’s Ride, Crowell, 1968. May Garelick, Look at the Moon, W. R. Scott, 1969. May Garelick, What Makes a Bird a Bird?, Follett, 1969. Judith Masefield, Shepherdess of France: Remembrances of Jeanne d ‘Arc, Coward, 1969. Sandol S. Warburg, Growing Time, Houghton, 1969. Scott O’Dell, Journey to Jericho, Houghton, 1969. Rose Wyler and Gerald Ames, How Things Began (includes First Days of the World and The First People in the World), Blackie & Son, 1969. Rudyard Kipling, The Elephant’s Child, Walker & Co., 1970. Mary Perrine, Nannabah’s Friend, Houghton, 1970. Mark Twain, Tom Sawyer, American Education Publications, 1970. Irma S. Black, Dr. Proctor and Mrs. Merriwether, Albert Whitman, 1971. Konstantin Paustovsky, The Magic Ringlet, Addison­Wesley, 1971. Jean Slaughter, And It Came to Pass, Macmillan, 1971. Charlotte Zolotow, Wake Up and Good Night, Harper, 1971. Nancy Jewell, Try and Catch Me, Harper, 1972. Rudyard Kipling, How the Leopard Got His Spots, Walker & Co., 1972. Nancy Jewell, Calf Goodnight, Harper, 1973. Jane Belk Moncure, Try on a Shoe, Child’s World, 1973. Rudyard Kipling, How the Rhinocerous Got His Skin, Walker & Co., 1974. Margaret Wise Brown, The Golden Birthday Book, Western Publishing, 1989. Contributor of illustrations to magazines, including Good Housekeeping, Harper's Bazaar, and the New Yorker, and articles on children's book illustration to Horn Book.